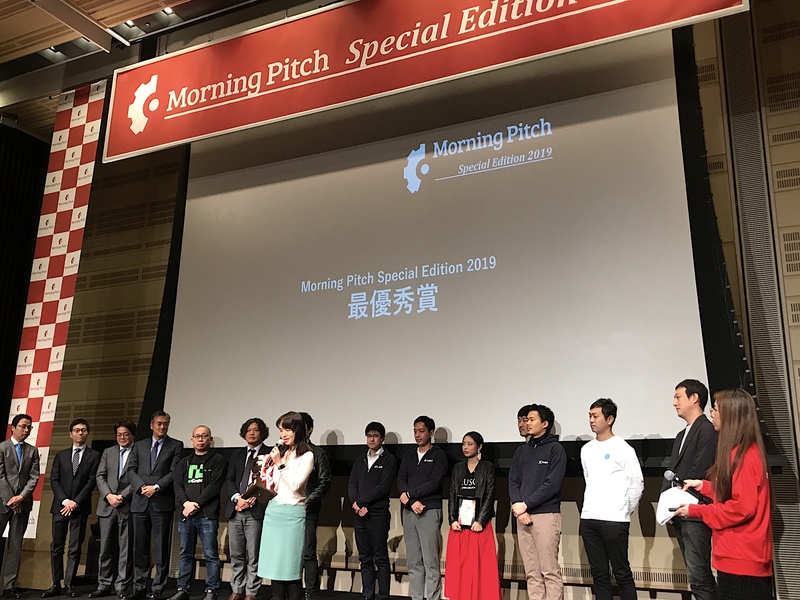 Deloitte Tohmatsu Venture Support and Nomura Securities conducted the first special event of the year for their Morning Pitch series (held every Thursday) earlier this month in Tokyo. 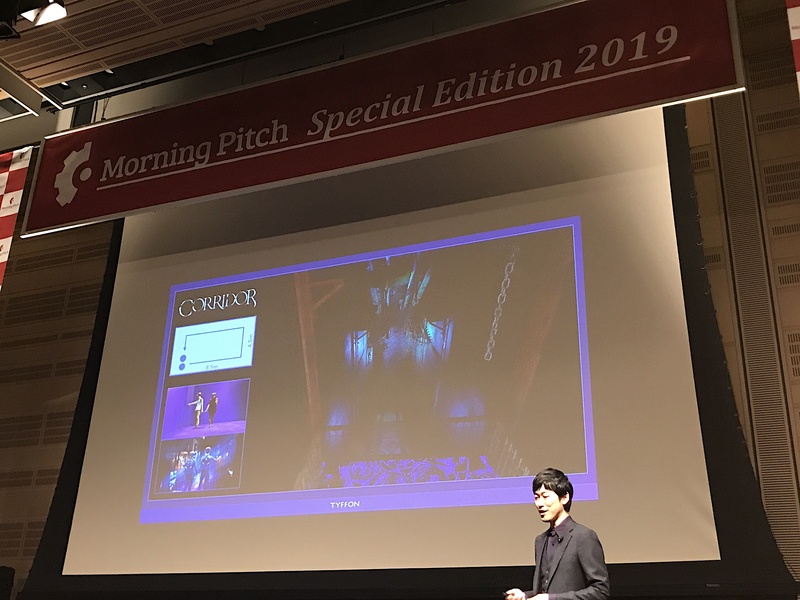 Previously, this event was often held at the end of the year in a rented movie theater or other venues, but this year it was moved to an event hall and held at the beginning of the year to summarize the previous year. 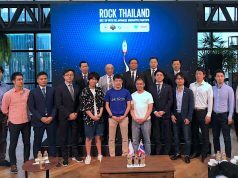 For this event, seven companies that were evaluated to have superior technology on the world stage in 2018 pitched and competed for first prize. 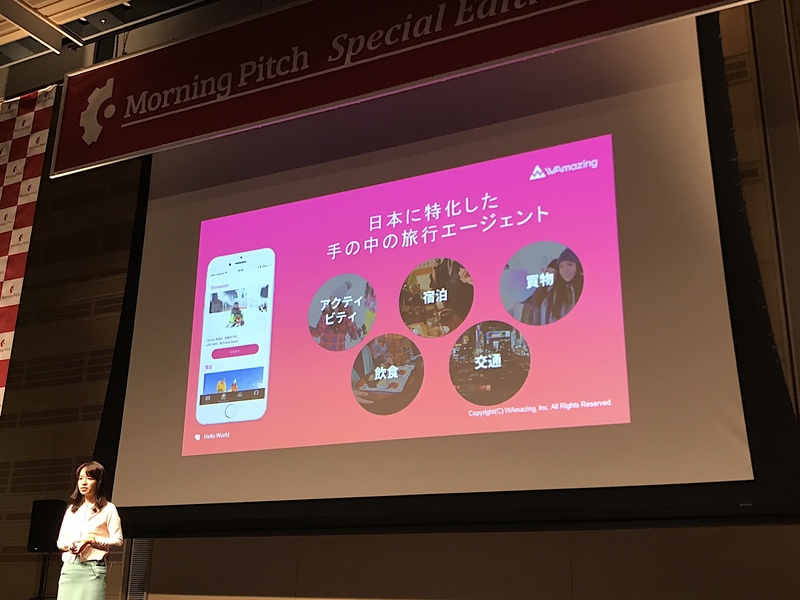 WAmazing, which provides information services for inbound tourists to Japan with free SIM cards and a mobile app, was the winner by judge’s choice. Musca, which creates fodder and fertilizer using houseflies, came away with the Audience Award through a vote. 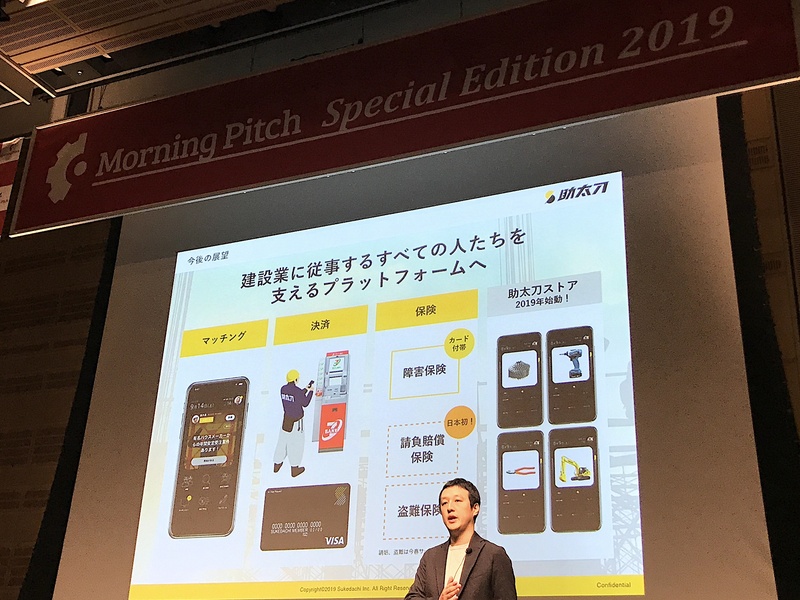 WAmazing distributes free SIM cards to foreigners visiting Japan and provides tourism information via a mobile app. Foreign tourists register their personal information on the WAmazing website before embarking on their trip and then can pick up the SIM card upon arrival at 20 international airports in Japan (covering 90% of overseas tourist inflow routes). WAmazing directs tourists to activity providers and in doing so takes a 10%-15% sales commission. In the year and a half since the service started the app has been installed 210,000 times, mainly in Taiwan and Hong Kong. Users are also expanding in China and Southeast Asia. WAmazing Snow, which specializes in winter activities, offers 800 tourism options at 200 ski areas nationwide. 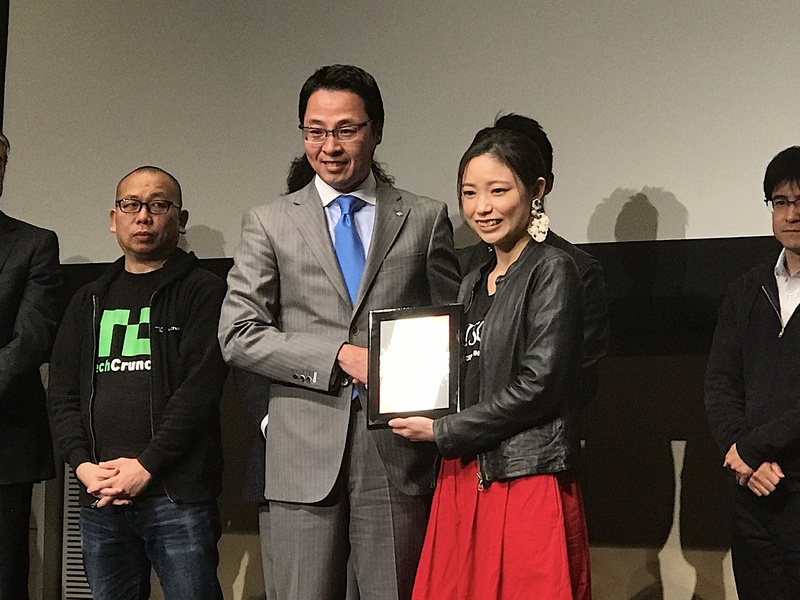 The company was the winner of B Dash Camp 2017 Spring in Fukuoka, and took the Tokyu Prize (equivalent of First Prize) at the Demo Day for the 3rd batch of Tokyu Corporation’s accelerator. 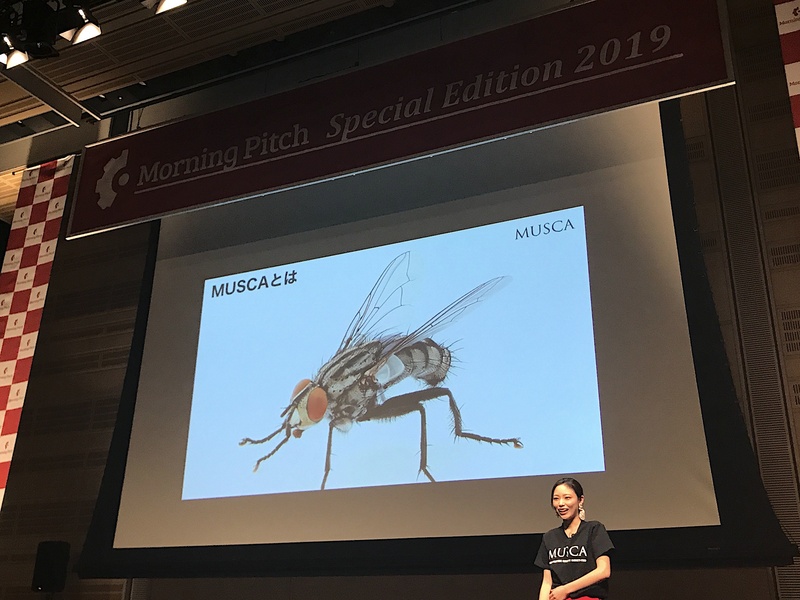 Musca uses houseflies which have been selectively bred over 11,100 generations for 45 years to produce feed and fertilizer from garbage and manure. The housefly eggs are added to garbage and manure where they become larvae and larvae excrement in about one week. As the larvae move around, they grow while decomposing the organic matter around them. The larvae can be used as feed and the larvae excrement can be used as fertilizer. Unlike biodegradation, with this method fermentation does not occur, which makes it easier to avoid foul odors and does not produce gas that causes global warming. Muska aims to secure profit by setting up large plants capable of producing 100 tons of feed and fertilizer per unit in more than 3,000 locations throughout Japan, and selling the products to feed and fertilizer companies. The company’s proof-of-concept is scheduled to begin in the spring of this year. AgriProtein, Protix, Enterra Feed, etc., are examples of competitors in this field; however, Muska is set apart in that it uses houseflies that can cope with any organic matter. The strength of the company lies in the capacity of waste treatment and the efficiency of feed production which occurs in one week after receiving the garbage and manure. 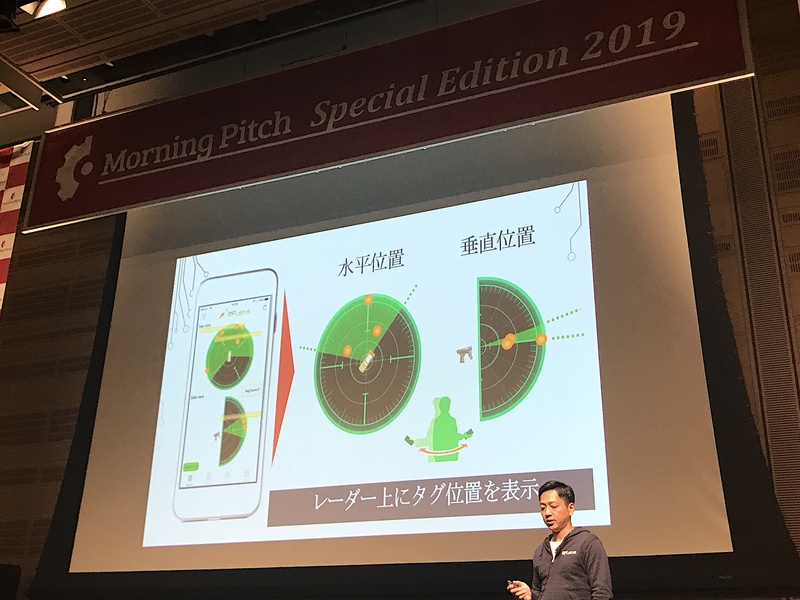 Muska won the pitch competition at TechCrunch Tokyo 2018. RF Locus’ P3 Finder is a high-accuracy precision locating system that uses RFID tags. In general use cases RFID, as opposed to barcodes, does not require unpacking the boxes containing the product which makes it easier to take stock, etc. However, since the accuracy of RFID in showing locations is not good, it is difficult to determine exactly where the product is. Through the dual use of smartphone acceleration sensors and software for “the time-series analysis of radiowave phase”, P3 Finder can determine an accurate position and content of a product even when it has not been unpacked. The company’s pitch revealed a system that combines logistics robots and drones. Toyota Motor, major airlines, and major apparel companies have introduced the system. P3 Finder took fourth place at Infinity Ventures Summit 2017 Winter’s Launchpad. Artist and engineer Ken Fukazawa (current CEO) established Tyfonn as an XR (extended reality) startup. The company was developing AR apps, and in 2014 was chosen for the Disney Accelerator. The company’s AR app Show Your Disney Side reached 8th place overall in the app rankings in the US. From then on it pivoted to become an AR startup. To date, it has developed two VR attractions, Corridor and Fluctus, and is also expanding to provide the facilities to experience these attractions. The AR facilities are currently located in Odaiba and Shibuya, Tokyo with the third to be opened at Santa Monica’s Third Promenade. The company plans to release a new attraction this year called Taro VR, and is also preparing to collaborate with a big Hollywood IP. The company’s value propositions include technology to capture “the actual look of your own hand” in real-time in AR called Magic Realty, as well as the ability to create dynamic attractions in small spaces. 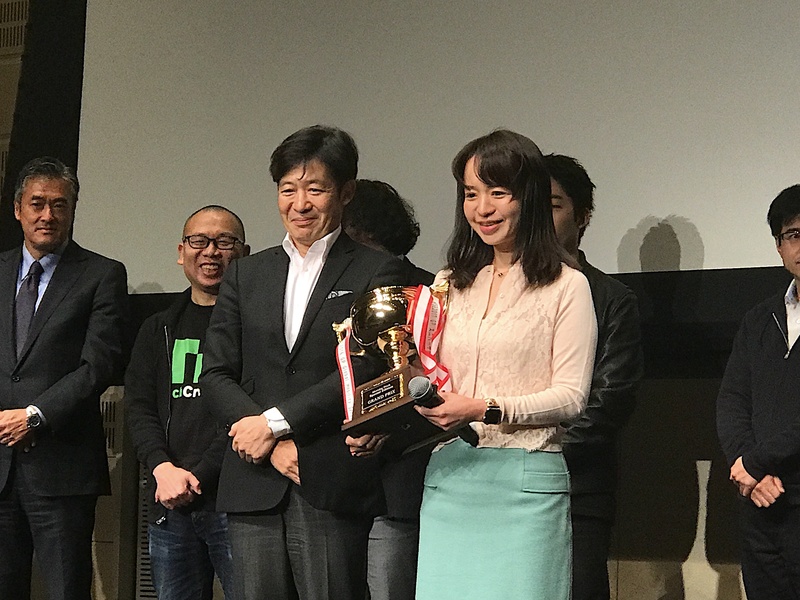 DeepX led by Kaoru Nasuno who is from the University of Tokyo’s Matsuo Laboratory, which is famous for producing AI talent in Japan. Through the use of deep learning, the company is able to automate movement in any machine that until now could not move automatically. In the past most movements made by machines and robots were repetitive, but with the introduction of deep learning and image recognition they have become flexible and can adapt by learning movements through trial and error. 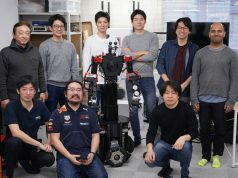 Additionally, it is necessary to develop hardware as well as software for complete automation, and Nasuno remarked that Japan has the advantage in this. From now the company will promote machine automation across industries, including manufacturing, transportation, and construction, etc., as well as promote the production of common parts in modules. In terms of the future, the company would also like to apply this to marginal fields like newly opened and radiation facilities, and so on. Currently, the startup is working with each company on its Proof-of-Concept, and is aiming for a launch next year or the year after. Kujira operates Sekai Hotel, which provides local experiences for foreign tourists in Japan. When a user checks in at the front desk of a local Sekai Hotel they receive a card and can stay in a room at a renovated house in the area. With the same card they can also bathe in a public bath, enjoy food and drinks at a coffee shop, etc. The focus is on providing opportunities in each town that resemble what life is actually like for the locals. The company currently operates two Sekai Hotels in Osaka Prefecture, and as the rooms are owned by general investors (which Sekai Hotel then leases), even if the company expands the impact to its balance sheet can be kept to a minimum. The fact that the company does not need large plots for developing, and that it does not need to develop in expensive urban centers means less competitors and advantages for business development. The company has also seen cases where coffee shops in shopping areas were considering closing, but due to an increase in the number of inbound customers thanks to Sekai Hotel have been able to remain open. Sukedachi is a mobile app that connects construction sites with constrcution workers. 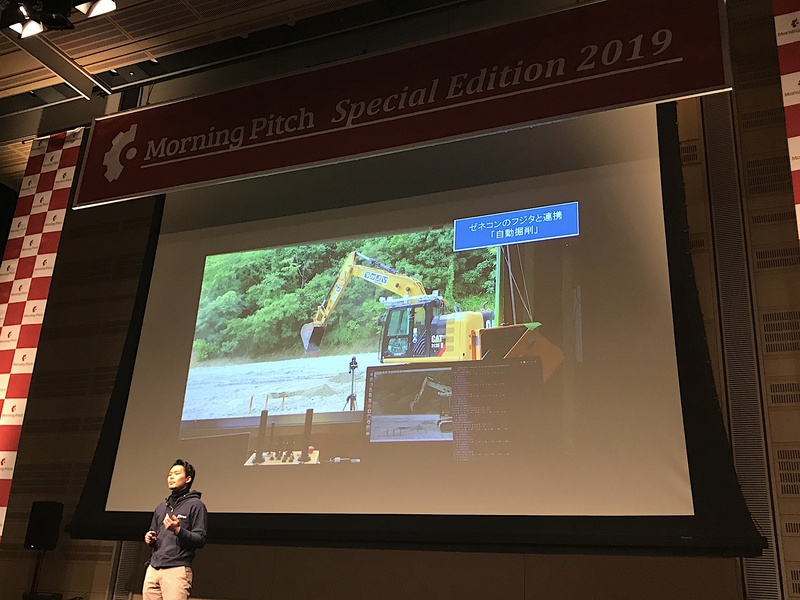 CEO Yoichi Wagatsuma, who as been involved in the construction industry for 15 years, is keenly aware of the information asymmetry between construction sites that need to people to work and the workers seeking such work. Workers recruit their peers and together they can seek work at construction sites. 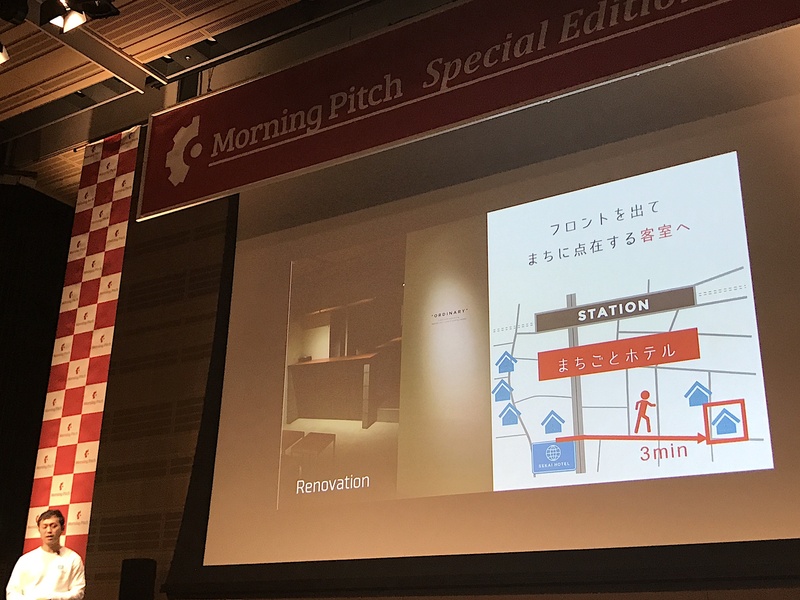 The company does not only introduce construction work, but also provides Sukedachi Pay for workers, which allows workers to receive their pay through a Seven Eleven ATM, and the monthly use balance exceeds 10 million yen (about $91K US). Today, January 11th, the company has partnered with Credit Saison and Mitsui Sumitomo Aioi Life Insurance to launch its own branded prepaid card “Sukedachi Card”, which can be used for construction charges and is also accompanied by accident insurance. Its value proposition lies in the fact that construction workers are often also individual business owners, information regarding jobs can be divided into 74 categories, and that the company can provide not only job introduction but also means for payment and insurance in a complete package. The company is also planning to sell tools via the app. 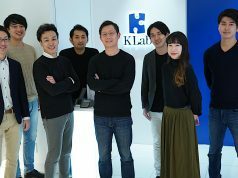 After trying to spread to the 5 million construction workers within Japan itself, the company also plans to expand into Vietnam, Indonesia, Thailand, the Philippines, and other countries.